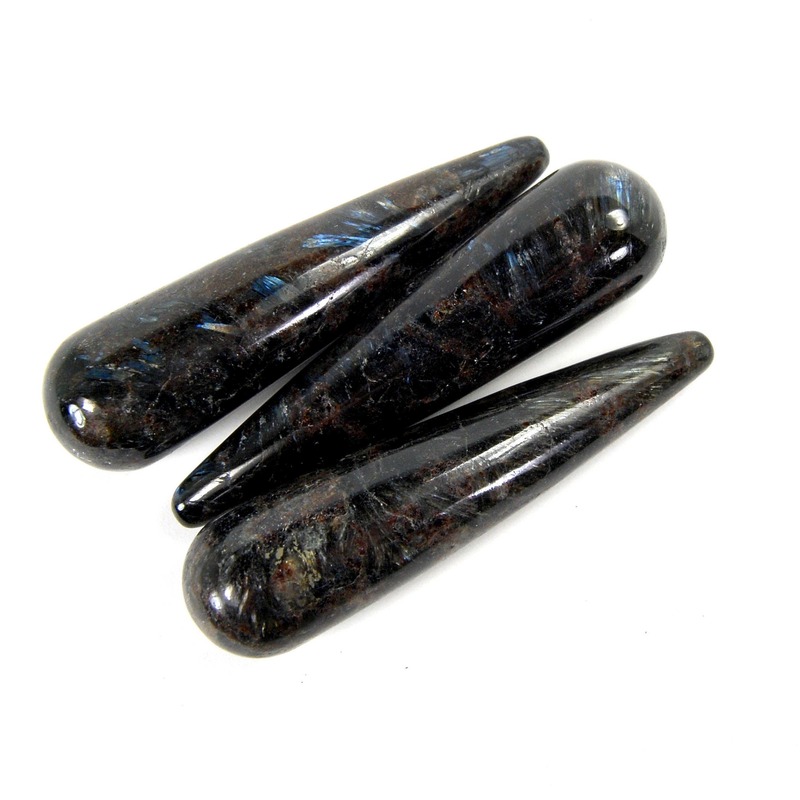 For your consideration is ONE randomly picked Astrophyllite wand. These measure approximately 3 inches long and are .75 inches thick at the base. 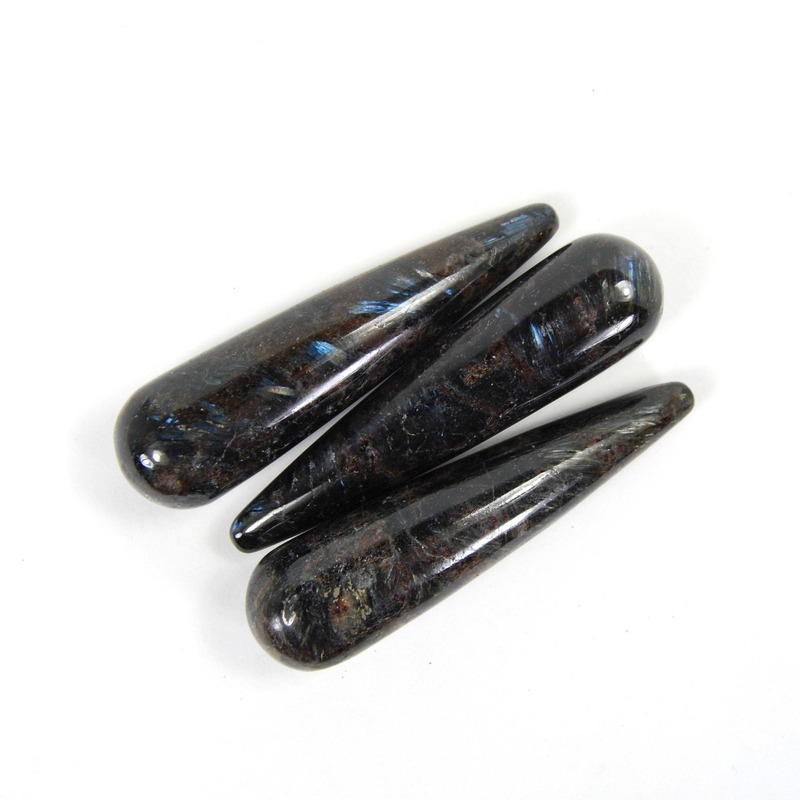 Astrophyllite is a gorgeous stone that is brown and black with flashes of iridescent blue. 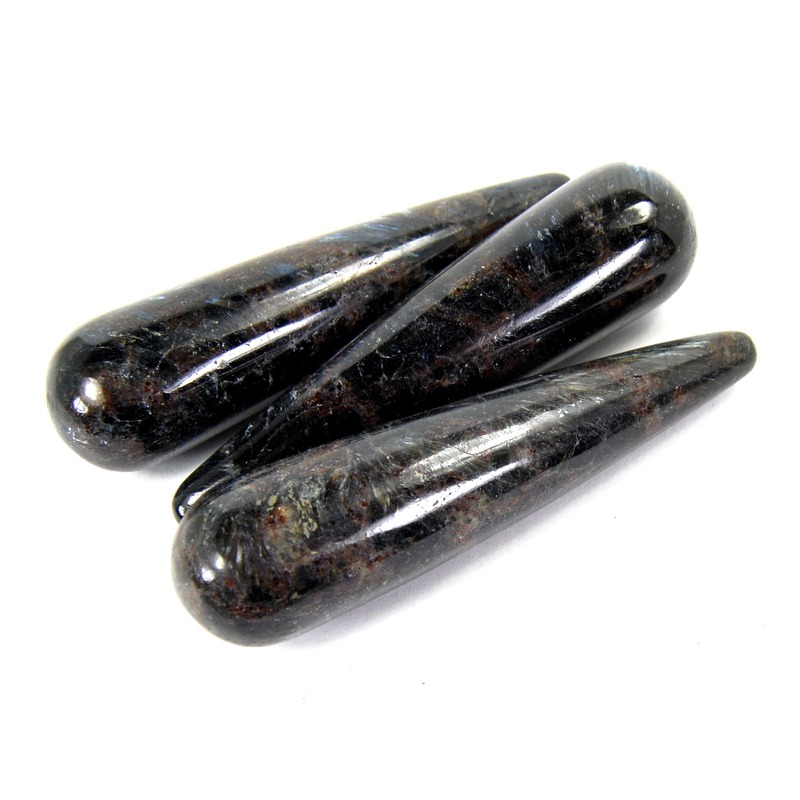 Astrophyllite is thought to be a very powerful stone to use in finding your life's purpose. It infuses your spirit with light, brightening up the dark corners of your psyche to truly see your Self without external influences and energies. It assists one in moving quickly forward once your path is illuminated.